Greetings! Here’s an informative blog for you because it has to do with my close relative, the dugong. Like manatees, dugongs are also known as sea cows because they are also herbivores and eat plants. And just like the manatee, the dugong is also threatened. Looking at the dugongs in the United Arab Emirates [UAE] and its coastal waters of the Persian Gulf and the Gulf of Oman, “their numbers have been dwindling,” said Mir Anisul Hasan, principal at the Bangladesh Islamia School. He continued and said, “This campaign has been designed to spread awareness among the public not to pollute the seas so that these gentle creatures can survive.” The UAE has been leading conservation efforts to help protect the dugong. The dugong ranges in size from 8 to 10 feet and weighs 510 to 1,100 pounds. And just like the manatee, the dugong can eat between 10 percent and 15 percent of its bodyweight in plants every day. However, the dugong has a fluked-shaped tail where the manatee has a paddle-shaped tail. Historically speaking, the dugong was hunted for its oil, meat, skin, bones and teeth. 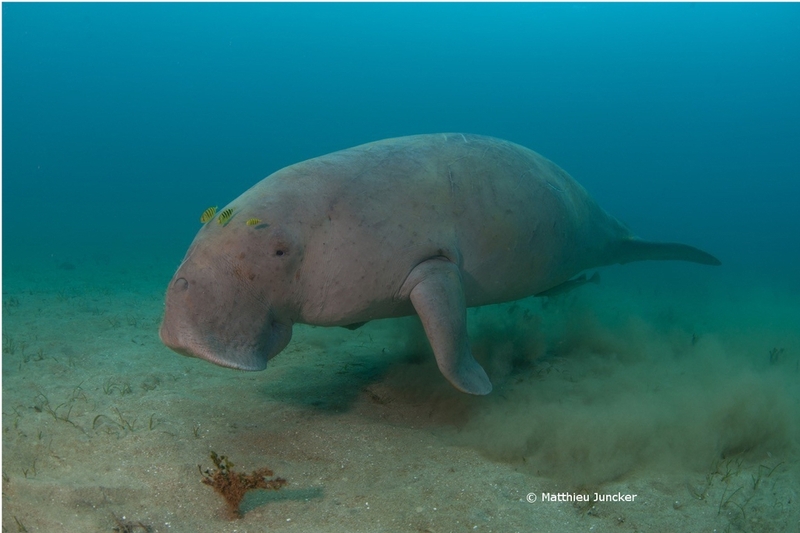 However, today the dugong is very threatened by the loss of its habitat due to industrial development and man-made pollution. 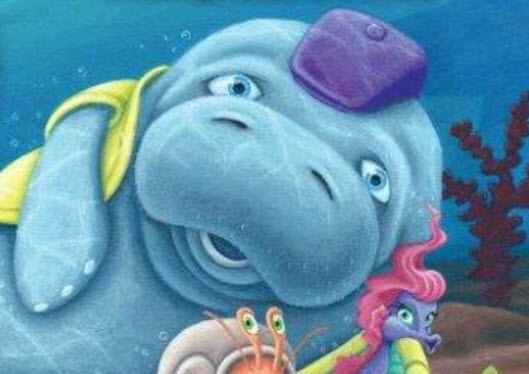 And even though the Abu Dhabi dugongs have laws protecting them, “six were found dead along the Abu Dhabi coast in November 2018 due to illegal fishing practices.” Just like the manatee, the dugong must surface every five to ten minutes to breathe. Authorities believe these dugongs died from drowning in abandoned drift nets.